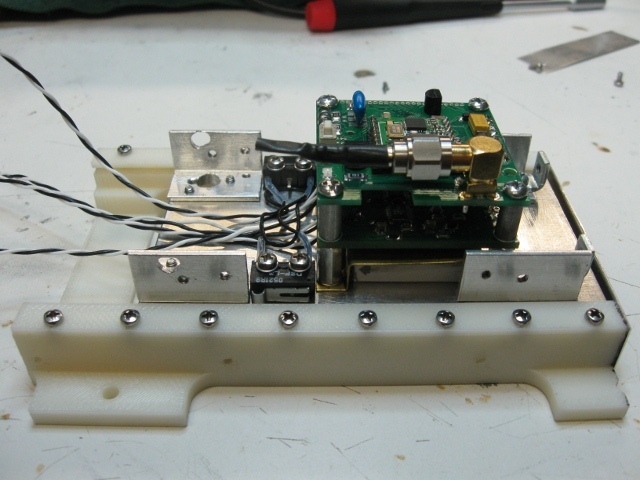 Michael Kirkhart KD8QBA provides this update on the $50SAT PocketQube which transmits on 437.505 MHz (+/-9 kHz Doppler shift). The TLEs on the Dropbox have been updated to reflect the latest element set available from Celestrak. This probably is not necessary, as many (if not all) of you are probably pulling them down into your satellite prediction programs straight from Celestrak’s WWW site. 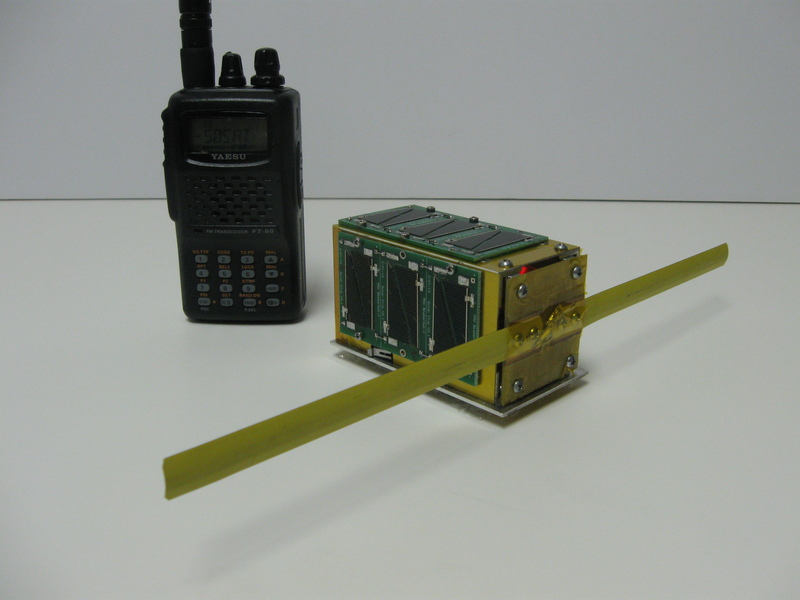 Construction of the replacement engineering model (engineering model 1 was promoted to flight model 1 and is what is in orbit) has been completed, and preliminary tests show it to be operating correctly. I posted a few photos of the build up on the Dropbox in the Pictures/Engineering-Model-2 folder. Final mass is 202.1 g, which is about 4 to 5 grams lighter than the flight model. This is in line with expectations, as it only has 1 fully populated solar panel, and the missing solar cells (18 of the 24 used on the flight model) would add about 4 to 5 g.
The RTTY reports file has been updated to include all telemetry posted/collected as of 2014-02-11. This file has nearly doubled in size from the last update, which was only 16 days ago. Thanks to everyone who has been feeding the data beast by posting their telemetry; please keep doing so. QSL cards for those who have been posting telemetry should start appear in your mailbox in the next few weeks (or sooner). While it is still quite cold (and snowy) here in EN82, I have been going out with my FT-60 to listen for at least one pass per day. As the terminator continues to move north (not fast enough for some of us who would like to get past winter), I have noticed the point where the FM Morse beacon transitions to slow code speed (indicating it is now warm enough to turn on the solar power) has been occurring earlier in the pass. As soon as it warms up a bit, I will gather some telemetry just to see how much solar power is being generated. I have a bit more analysis to do, but thanks to some telemetry captured by Kristaps, we believe the low temperature of $50SAT to be about -24 degrees C.